Another early checkout this morning. On the day’s schedule: Neuschwanstein Castle, Linderhof Palace, and meeting our host families in Augsburg and its suburb Kissing. 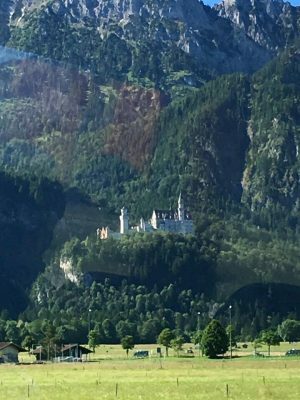 After another breakfast of lunch meat and an hour drive we came to Neuschwanstein. The so called Cinderella castle was visible for miles away, nestled halfway up a mountain. From far away it looked much closer to the ground, however, the groups’ aching legs can attest to its elevation and the arduous hike from the parking lot to the castle itself. Unfortunately, we weren’t allowed to take pictures inside but among the things we would’ve taken a picture of if we could lies a gold statue of St. George slaying a draconian beast, an artificial cave inside the main building, and a Singers’ Hall that was inspired by the Singers’ Hall and Festival Hall of the Wartburg castle. Our trip down the mountain was much more exciting. It was a fun mini-adventure. We took an alternate route down and it led us through the heavily wooded part of the mountain. If anyone has ever traversed the Quiet Ways of the Lutheridge campground in NC they will know exactly what our path looked like. Everyone made it down with only two slips between everybody and no harm done. (One slip was mine and I landed like I was crab walking and luckily saved my clothes from dirt so…all good). 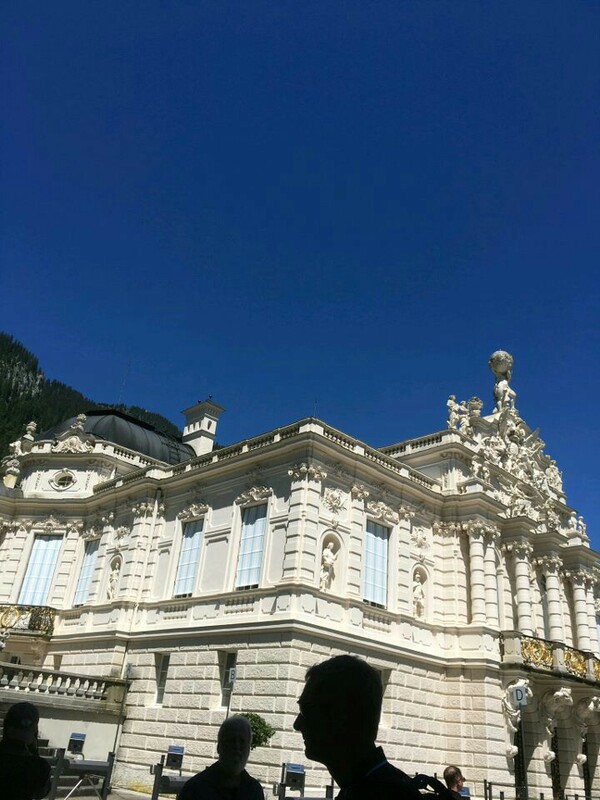 After, we all hopped on the bus again and we traveled to Linderhof Palace. It was much smaller than any of the castles that we’ve seen but it was very beautiful. The fountain with Aphrodite as its centerpiece in front of the palace was spectacular and more like a geyser than an actual fountain. No pictures of the inside were allowed there either but every room save one had gold veneer in it. It was probably the most opulent place we’ve seen but ironically, the palace was built for only one man. One man who never had any visitors. 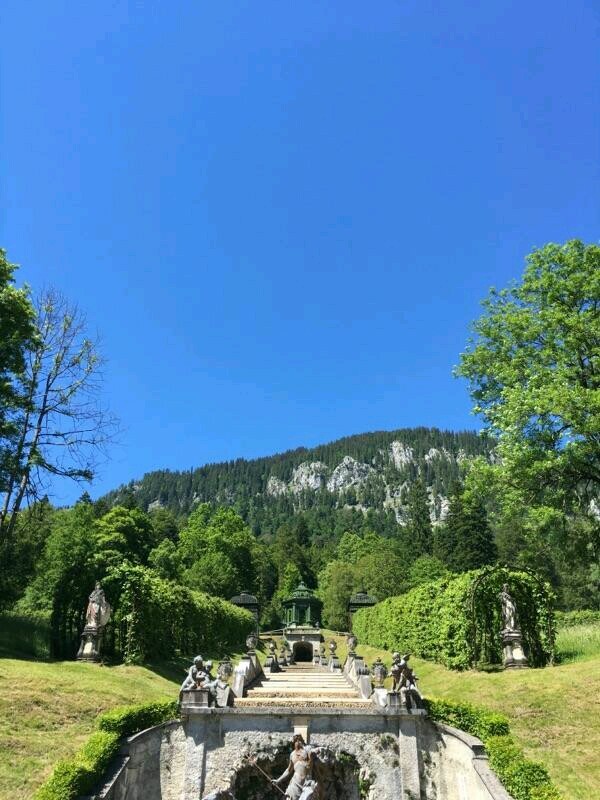 Both Neuschwanstein and Linderhof were built in the late 1800s by King Ludwig the Second. He was an introverted man with an unprecedented amount of love for the Medieval Ages and absolutist kings. Both castles reflected his admiration for these things and are paramounts of German idealism. 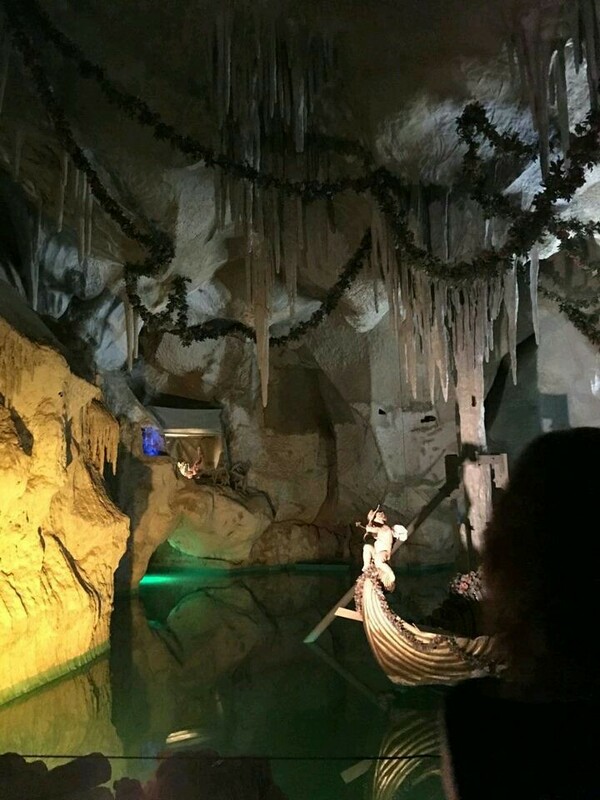 After seeing another of Ludwig II’s fake caves, we began our trip to Augsburg. Our first stop was Kissing where half the group is staying. Kissing is only about 10-15 minutes outside of Augsburg so the whole group is still in the same general area. The youth group in Kissing greeted us when we got there and they were all very nice. The pastor that helped put this together was very hospitable and provided an excellent dinner to some members of the group that are staying in Augsburg. The host families are incredibly nice. The woman that four of us girls are staying with is possibly the coolest and most enthusiastic person in the world. Despite our many hikes, today was fantastic and might be the best day many of us have had on this trip.